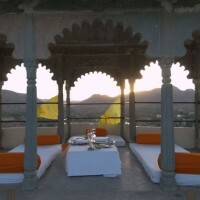 Devi Garh by lebua, Udaipur, in the Rajasthan in India, is a stunning hill-top Maharana palace that has been transformed into a luxurious heritage hotel and a sophisticated romantic retreat. 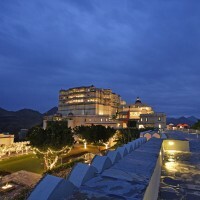 Nestled in the Aravali hills, 28 kilometers away from the bustle and hustle of Udaipur, this luxury resort boasts the look of new India with an emphasis on design and detail. 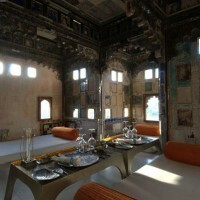 The interior of the 18th century fort palace of Delwara has been restored in a minimalist contemporary way while the ancient exterior was preserved. 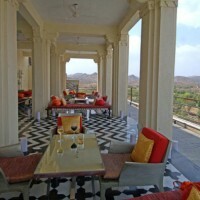 The fort, nestled in the Aravali hills, overlooks the village of Delwara, and is close to the temples of Eklingji and Nagda. 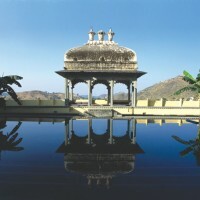 A rudimentary seven-storey fort palace in Rajasthani architecture was first built by Raghudev Singh II in the 1760s which was further beautified with the addition of Durbar Hall and Sheesh Mahal area during the first wedding in the Royal family. Two centuries later, it was abandoned in ruins. In 1984, it was bought by Poddars, an industrial family from the Shekhawati region who undertook a restoration that took over 7 years. The interior spaces were redesigned in minimalistic style by interior designer Rajiv Saini, to turn this palace into an all suite luxury hotel, complete with a spa in the year 2000. 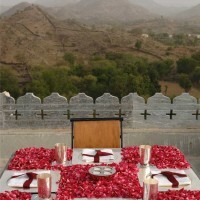 The suites include 1 Devi Garh Suite, 5 Aravali Suites, 16 Palace Suites and 17 Garden Suites. The interior of all 39 suites includes pristine white marble embellished with semi-precious stones. – Garden Suite, 46 sqm, each have their own private lobby, garden and tented terrace. 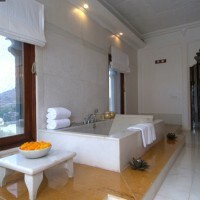 – Palace Suite, 60 sqm, have either balconies or bay windows, which overlook the village and the mountains. Marble combined with semi-precious stones, such as malachite, mother of pearl, jasper and lapis lazuli, give an aura of luxury and quiet elegance to the rooms. 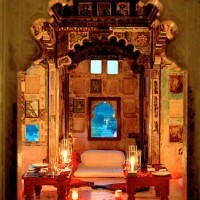 – Aravali Suite, 67 sqm, are the most spacious, bright and tastefully designed suites at Devi Garh. They offer complete privacy and have a spectacular view of the Aravali hills, which can be enjoyed from balconies or large bay windows. 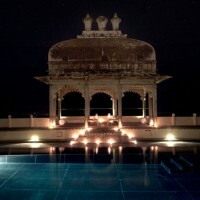 – Devi Garh Suite, the presidential suite, 112 sqm sumptuously decorated with its own black marble pool, private sun deck and Jacuzzi. All suites come equipped with mini-bar, tea-coffee making facilities, Pillow menu, Air-conditioning & Heater, TV with a DVD player, iPod and wireless internet. Cuisine is an integral part of the experience at Devi Garh by lebua. 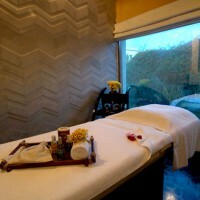 The Restaurants offers both Indian and International cuisine with authentic flavors provided by using fresh ingredients. 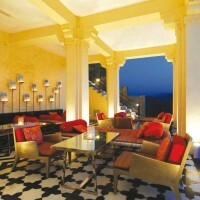 The Bar at Devi Garh by lebua, Udaipur is a fun, relaxed space integrating the colors and energy of Rajasthan with spectacular sunset views. Sport & Recreation include Kite flying, Camel/Horse rides, Jeep Safari, Trekking, Pool Table, Mini Golf, Croquet, Village Walk, Bicycle Rides, Star Gazing. Devi Garh by lebua, away from the stress of the city, is a perfect place to optimize your well-being. Soothe your body, stimulate your mind and strengthen your spirit under a starry sky, with the notes of a flute melody floating across the inspiring moonlit mountains. lebua Hotels and Resorts is an international luxury brand operating exclusive hotels, gourmet restaurants and fine bars. 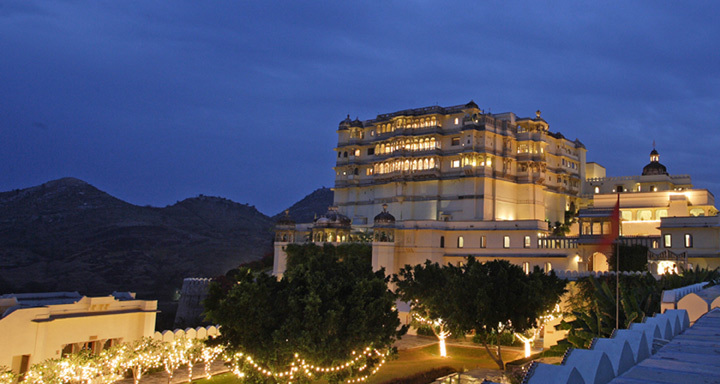 The company’s lodging collection features Bangkok’s best-performing luxury hotels (Tower Club at lebua and lebua at State Tower), magnificent properties in India (Devi Garh by lebua, Udaipur; lebua Resort, Jaipur and lebua Lodge at Amer, Jaipur), and an exclusive property in New Zealand (Lake Okareka Lodge by lebua).